How many times have your or another agency owner answered “word of mouth” when asked how you get new clients? 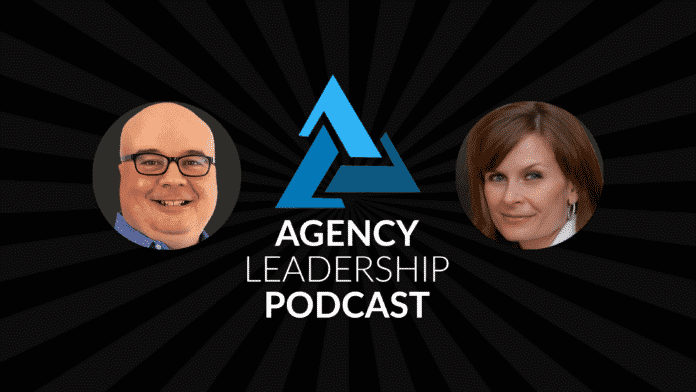 In this week’s episode of the Agency Leadership Podcast, Chip Griffin and Gini Dietrich discuss why this is not a good answer — and what you should be doing instead. 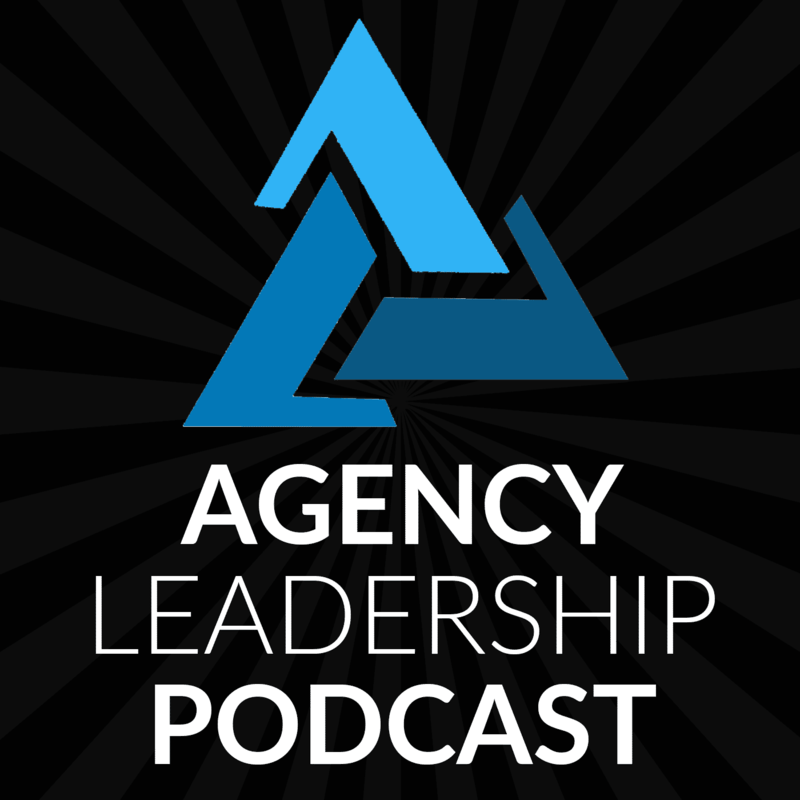 You also won’t want to miss a special guest appearance by Jack Bauer — so listen in for that plus lots of practical business development advice for your PR or marketing agency. And we’re here today, and we’re going to share some words from our mouth that will be hopefully very illuminating. At the very least illuminating. I’m sure the most fascinating podcast that everybody is listening to each week. And the good news is, we’re not talking about lawyers and accountants this week, so we will not put you to sleep. No, not this week, maybe next week, but not this week. Right. Yeah. And if and if you’re still awake at the end, we’d love it if you’d go over to iTunes, or your favorite podcast directory of choice and leave us a review. Hopefully, it’s a nice one. But even if it’s not we’ll read it and internalize it and stew over it. Yeah, but maybe make changes because of it. So go ahead and leave us a review. It’s how people find the podcast and well, we kind of like it when people listen. Otherwise, we’re just wasting our time. And that would just be sad. No, that’s not entirely true. I get to talk to you every week. So that’s not a total waste of time. …Wow see now usually I’m the one who comes up with that little segue there! … I just came up with the funny lead-in, you came in with the good segue. So congratulations, Gini, you are correct. We are going to talk about revenue, in particular, we’re going to talk about word of mouth and why it is not a sales strategy. Even though I think the vast majority of agency owners that I talk with, seem to think it is, because when I say to them, you know, how do you generate business? Well, word of mouth! Referrals and word of mouth, yup. Yeah, not a strategy. No, it can be part of a strategy that but there are things you need to do to do it. And usually when someone says word of mouth, what they really mean is they just sit back and wait for the phone to ring. And that’s true. And, and a lot of us grow our agencies, especially starting out, by doing exactly that. Because what happens is, you know, we know somebody and they know somebody, and you do get, the phone does ring and you or you get emails and introductions or things like that. And then you get busy and you start servicing clients. And you don’t notice that the phone hasn’t been ringing for the last nine months, and then you lose a client and all of a sudden it’s like, oh, shoot, what do we do now? So yeah, not a strategy. I call it the hope strategy. Hope, not a strategy. It is wishful thinking. It is. It is sort of like my kids seeming to think that if the the dishes sit on the counter long enough, they will put themselves into the dishwasher. As it turns out, that does not all help, it does not work at all. Or perhaps more appropriately today, since we had some snow overnight here in New Hampshire, them sitting around and hoping that before we really forced them to shovel it that it just melts. Well, I mean, that’s a fair assumption. Actually, it could do that. I mean, it will melt eventually. But but this is New Hampshire in the winter time, so… not in the next 20 minutes. Yeah so but no, look, you know there is certainly nothing wrong with having your phone rang and generating some business that way. I think we’ve all done it and it is a good thing but it doesn’t fill your pipeline over time. And I think as important as sort of the, the revenue issues that it can create when when the phone stops ringing, because your network now knows what you do. It also has the tendency to, to steer you on the kinds of business you’re taking instead of you steering the business that you want. And and so you know, while you know getting that kind of business is a good thing you need to start thinking about actual strategies to put in place and do proactive selling, and I know that’s kind of a dirty word because agency owners by and large don’t like doing sales, you know, though they don’t they just, it’s not in their nature. And that’s fine. But there are ways to sell without selling. So you need to come up with some sort of a plan. Well, and you know, I mean to your point agency owners, yes, don’t like to sell but it’s not really selling. It’s talking to people, it’s building relationships, it’s figuring out what their challenge is, and whether or not you have a solution. And one of the things that I really like to push our agency owner clients on is, who is your ideal client? What are their characteristics? What industry are they in? And which three problems -you can expand from there – but which three problems right now do you solve? Because then you can get into a meeting or have a phone call or you know go to a networking event and meet people and start to talk about those things, and if they say I need x y and z, you know immediately that they’re not an ideal client. Where, if you don’t have all that in place, they say I need x y and z, and you say great we can do that and then you chase them down, you write a proposal you chase them down, they may ghost you, they may say, this is too much, you know, whatever happens to be, and you’ve spent all this time trying to get to something that actually doesn’t generate revenue. So it’s, you have to start on the front end of being very, very, very clear about what it is that you do. You cannot be all things to all people and then start to be proactive in your relationship building. Right. And I think the, the beauty of the agency world is if you realize that, that, you know, what we’re doing is, is consultative sales. So this is not, this is not like selling widgets where, you know, we just, you know, have to, you know, kind of keep beating down the door and try to find the right price for something that, you know, someone definitely needs, you know, we’re not selling napkins or bolts or whatever, you know. I mean, you know, we are working collaboratively with our target audience to figure out if we can solve their problems, as you say, and then how we can solve them. 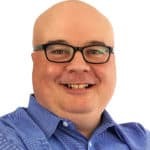 And so to me, that that makes for a much more interesting discussion and something that I think most agency leaders would be much more comfortable with than sort of the typical sales. So don’t think of it as sales. Think of it as consulting that just happens to lead to a sale. Right, right. And that leads to all sorts of problems, you know, that’s, that is that is not the way to build a healthy business. And, you know, one of the things that that I always preach is that, you know, in addition to, to building an agency that you can be proud of the work that you’re doing, you also need to build a healthy and sustainable business that that you enjoy, that’s generating the profits that you need, that your employees need and all that. So, you know, if you put together a process and you think about strategically what you’re doing, you’ll be in a much better place than if you just, you know, sit back and allow it all to happen around you. Yeah, and it also allows you to say no, to the clients that aren’t ideal because you know exactly what, who you should be working with. I mean, I have…a couple of years ago, I went to a new business meeting with a chief marketing officer and I loved her, she was amazing. She was the ideal client for us. She would have been a great client, really wanted to work with her and so she and I went back and forth and we agreed on, you know, sort of the next steps and everything. And she said, but before I sign the contract, I’d really like you to meet our CEO. And I was like, great, that makes a lot of sense, you know, even though he’s not going to be day to day, definitely want to have that relationship. And so I went out to the meeting out in the suburbs here in Chicago. And I took two of my books that I signed personally to her and to the CEO, to each of them. And at the end of the meeting, I said, you know, thank you so much for having me. I’m really excited about working on your business, blah, blah, blah. And I gifted them both of my books, both, both of them my book and the CEO looked at me and he said, I don’t read books, you might as well give that to somebody else. And I was like…so I came home and I was kind of like, I mean, I can’t give it to somebody else. Because I signed it to you, you big jerk, but whatever. Um, and I thought about it for a couple of days. And I called her and I said, I’m really sorry, I love you and I would love to work with you, but it’s not going to be a good relationship and it was – there were a couple of other red flags in the meeting. But that one was like, boom. So that was, that’s what it allows you to do is be really clear about who you will and will not work with. And I knew immediately when he said that, he would not be an ideal client for us. That is just, frankly, so insanely rude, that… And sometimes I think I don’t have a filter and just say, you know what, what comes immediately to mind, but I… Wow, I just, you know, that sort of reminds me of my youngest son who, years ago at a birthday party, he was given something that…a gift from I think it was from a grandparent who was actually in the room and he just, he opened it up, looked at it flicked it aside and we said, don’t do that. And he said, I didn’t like that. Oh, no…as a parent, you’re mortified. You’re like oh, no. You know better than this. Yeah. Yeah. And he and he was young, but not so young. He should, you know, have had enough of a judgment not to do that but in any case it is what it is. But I think that that’s what it allows you to do is if you’re really clear about the characteristics of your ideal client AND you also say these are the types of people we won’t work with, then you can you can be really smart and strategic and proactive about your business development. Right, right. Absolutely and and being proactive is is absolutely critical and you know in speaking of, of being proactive and reactive and all that, you know, we like to keep this podcast real and at times and it seems to me that Jack Bauer may have tracked down some terrorists in Chicago… is that..? He is stuck down in the basement. He can’t get up the stairs. So he’s going to bark until I can go help him up the stairs. Sorry. That’s okay. It is faint, but it is in the background so I’m sure our listeners will hear it. So I thought rather than just sitting here and pretending that we were completely oblivious….but if you want, we can take a commercial break and you can help him. It’s up to you. Unless it’s bothering you. He’s fine. It is what it is. Jack Bauer would not be allowed in the expensive studio. We focus on the content here, not not on the ritzy accouterments. So in any case, so. All right. So if word of mouth isn’t a strategy, then you know, you have to start thinking about what is and I’m sure in future podcasts will have an opportunity to to take some deep dives on some particular approaches. But, but I guess, you know, from my standpoint, the most important thing is to sort of just sit down and think very intentionally about what it is that you want to from a business development standpoint, and you know, some plan is almost certainly better than no plan at all. So, you know, even if you don’t view yourself as someone who likes sales, or someone who is a sales and business development expert, you know, sit down and think about, okay, you know, what can I do to encourage more conversations, you know, think of it that way as opposed to a sale, you know, because it’s – the more conversations that you’re having with the right people, the more likely you are to generate business, even if you’re not, you know, doing it technically by the book, where you follow the funnel in the way that you would be taught, you don’t do qualifications in the way that you know, that some sales professional would treat you. Just, you know, simply having a process in place that generates more and more conversations will likely lead to good things. And, you know, one of the things we talk about with our clients is, you know, when you’re going to a networking event, or you’re going to a conference or you’re, you know, even if you’re speaking at a conference, make a list, go through the list and make a list of people you want to meet and then set appointments, because, you know, it may or may not net to something, but you’re starting to build relationships with with people who, on paper are seemingly your ideal client. So take advantage of the time that you have at large gatherings like that. And we all do stuff like that to really meet the people who could be an ideal client for you. Well, I think that’s one of the mistakes that a lot of folks make as well, that they’re, they’re not, they’re not matching up what they’re doing to that target audience. Right? So, and this was particularly prevalent say, in the early days of social media and digital and that sort of stuff. You know, I would go to a lot of events and I would see a lot of people basically preaching to the choir. And so these were not ideal clients. It doesn’t mean there’s not value in those kinds of events. But if you’re going there, and then you’re disappointed that you haven’t generated, you know, business related conversations out of it, well, don’t be surprised because those were not your buyers. And it’s, it’s tough because you, you need to think about where are those people that you’re selling to, where are they now, both online and in person, you know, and go find them. You know, there are, there are lots of great PR networking events, they tend not to be fantastic for generating clients, right? A, because everybody is there looking for a client or looking, more likely, for a job. And so, you know, that is not your target rich environment. So if you specialize in a particular vertical, find their events to go to, right? You know, if you’re doing things locally, find local events where those local business owners are. Whatever it is that you’re specializing in, find a way to start having those conversations in some way, shape or form where what you’re offering us a little bit more unique or, you know, you know, you’re not surrounded by 25 competitors, but, but more importantly, just talking to the people who are likely to buy what you’re selling. Yes. And, you know, back in the day, we when we went pretty deep into franchising. So that’s what we did. We went to all the local franchise events, we went to the I of A, we went to the you know, big international events and everything. And while there were some competitors there’s probably about four PR firms in the franchise industry. I mean four PR firms in the entire PR industry is not that big. So we were able to really start to develop relationships and build, you know, and because we were boutique we still had to start locally so we had – or regionally – so we had to start with one or two franchises and then eventually get up to headquarters but, you know, by the time we decided to exit the franchise industry we were working with some large, large companies at the corporate level so it – you know, it certainly doesn’t happen overnight and you do have to pay your dues so to speak, but it works. It really works. Because, you know, peer communication does play an important role in an overall business development strategy, but you know, particularly if you’re not yet comfortable with the sales process, you know, really put yourself in the shoes of the client and what they would be interested in consuming. And that will spur more conversations. And so then, then word of mouth instead of a strategy just becomes sort of a side effect of all the other things that you’re doing. And I would also add to that, just based on my own experience, that takes a little bit longer. So you know, you have – you, when you’re doing some of that stuff, you definitely have the long tail effect on it, and it works but it definitely takes a lot longer. Oh, absolutely. But, but I guess my point would be even in those, you know, networking type conversations, or when you get someone on the phone, you know, talking to them about the challenges that they’re facing, right? Because it becomes very easy to get, you know, just as we always say to clients in the agency world, you know, you need to think strategically you know, you need to make sure that that’s that’s what you’re doing, you know, through this business development process that you don’t, you know, immediately jump to tactics yourself. And you know, particularly you know, particularly newer agency owners have a tendency to do that because… In part, honestly, because a lot of clients respond more to the tactical discussion, right? Because they’re like, you know, yes, I need to be posting more on Twitter, yes, I need a new website or Yes, I need to be putting out more press releases or whatever. So, you know, they come to the conversation predisposed to thinking tactically. But, you know, if you do that, then you become a transactional order taker. And, you know, that’s, that’s not a good way to build most agencies. Unless you’re one of the few that’s building purely on volume. Which is hard to do because you can’t scale time. It is, it is very hard to do. You know, there are a few who have done it successfully. But, you know, that’s not – you know, they sort of, that I would call them sort of on the edge of the agency space you know, and they’re more productized companies. But in any case, you know, it’s that it… if you’re having the right conversations with people, good things come from them. Always, always, always, always. And, you know, it goes back to the conversation we had a couple of weeks ago about coffee meetings, you know, do you do you say no? Or do you always say no? Or do you always say yes. And I mean, you had a really great point, which is, there’s always something that comes from those meetings, always something that comes from those meetings. Yep. And, you know, and, you know, not every conversation necessarily leads to sales, right? So, don’t you know, people need to also be, you know, respectful and think, Okay, well, look, you know, some of these conversations are just, you know, I may be learning from them. I may be, you know, educating someone about what I do so they can tell someone else… but if you’re, if you’re focusing your conversations on the right people, and again, I’m talking more about the proactive ones at this point, not the reactive ones. Those are things that that will be beneficial. I was having a conversation with someone earlier this week who has an extremely well defined target market as in, there is a very clear list of potential targets defined by title within particular organizations. And he has done an excellent job of, of identifying them and methodically working through to have conversations. And this is not someone who is a natural salesperson, right? This is this is someone who is much more from an academic world, you know who that that just is not the natural approach that one would take, but, you know, what he’s managed to do is be having these solid conversations, he has goals each week for how many of these conversations to have. He’s got, you know, he’s learned sort of through trial and error what works and what doesn’t to get people on the phone and he’s just having conversations and the conversations are not designed to jump on and say, okay, you know, I want you to buy what I’m selling right away. It really it’s, you know, in some cases he’s offering information, in some cases he’s asking for some research help or you know what, there’s different things he’s asking for. And he’s, you know, he’s having more and more of these conversations, and it’s leading to tremendous things for him. So, you know, it really…it doesn’t need to be fancy. It doesn’t need to be complicated. It doesn’t need to be something that a, you know, lifelong sales professional put in place, but it really is just putting down to paper or on your computer screen more likely, what it is that you plan to do. And, and if you start building that, you know, that’s how you, you know, begin to have those conversations because, and I know, I’m sort of beating a dead horse here a little bit. But you’ve got to be trying to have these conversations, you can’t just wait for them to happen to you. Absolutely. And it’s very easy to – that’s I mean, it’s so smart to just have a list and methodically go through it and start to have those conversations because it is relationship building and that’s what we do really well. Right. And and what he’s – what he did was I mean, he really sort of took – and I can’t claim credit for this. He didn’t listen to the podcast to come up with a strategy, he’d been already doing it. But that find your focus episode that we did – that that’s really what he did. I mean, he, more so than than most folks I talked to, he has defined it so well that there’s, there’s no ambiguity about who he’s trying to reach and you know most folks aren’t going to be able to be quite that defined, right? You know, where you’re, you know, it’s, it’s literally black and white whether this person is target, there will be some gray area but, you know, whatever it is that you do, the more you can define it, and particularly in the early stages of an agency, you know, don’t try to be all things to all people…. Try to figure out what it is that you do well, and keep doing that over and over again, because that will you know, help you grow much more efficiently in those early stages. Now, over time, you can certainly expand services and you know, all that and you’ll learn you’ll pivot you know, as an entrepreneur who’s done things outside the agency world as well I know how important pivots are, but even within the agency world, you know, you will pivot and will make adjustments to, to what it is that you’re doing. But you’ll only be able to figure out how to do those pivots if you’re having conversations, and you can’t figure out how to make adjustments, if you’re just talking to the people who are already reaching you, you need to be out there talking to people that you want to serve. And, you know, figuring out okay, am I right? Is this really something that this market will buy? Am I talking to the right person within these organizations? Am I …You know, is that the right geography is that the right company size, you know, whatever it is that you’re doing, your belief is you’re testing it through those conversations, and because most PR people like to have conversations with folks and and certainly most marketing people do, you know, it’s an opportunity to, to learn to – to be social, to to really take some energy out of those conversations. So don’t look at them with dread. Look at them with excitement and anticipation about what you might learn over the next 20 or 30 minutes in those calls. Yeah. And, and I think you get to the point that when you have conversations like that, it’s it is exciting and it’s energizing. Because you’re learning, you’re, you’re talking about business problems that you can actually solve. And then you begin to get in a position where you can serve your clients versus being an order taker. Right. And I think actually, you know, that’s a, that’s a great topic for a future episode, which is the, you know, how agencies solve actual business problems, right, because that’s, that’s, I think, something that a lot of agencies overlook, you know, they, they tend to look within the silo and they don’t look beyond that and say, Okay, well, you know, why is the… Why does the company want to do this, you know, and the I’m a big fan of asking questions and so the more questions you’re asking, the further to the root cause of something you get, the better off you are, but again, that that that comes down to having conversations and so I guess you know, my my bottom line is, advice is, you know, words need to come out of your mouth, but you shouldn’t rely just on word of mouth. And with that Gini unfortunately that that brings us to the end of this episode. Which Jack Bauer will be very happy to hear because now I can help him up the stairs. I was gonna say, Jack is now… you know he will be probably the happiest that this episode has come to an end. So, sorry Jack. Sorry, buddy. We apologize for keeping you stashed in the dungeon. But it is what it is. So with that this episode is now concluded. Thank you, go forth, make conversation, and hopefully grow your business. And as always, I’m Chip Griffin.